The market was filled with the best replicas of AirPods 2019! For this reason, today we will focus on knowing each one of them so that in this way you will be the ones who judge which meets their requirements, there are many who have managed to captivate us, an example of this would be the i13 TWS Mini Headphones, of whom we will also comment on this entry to expand our knowledge about this mode of devices, which are the basis for a new generation announced for 2020 and would be the first in which we would see a design change beyond the LED indicator load that would bring the new versions. So join us in getting to know the 2019 headphones. 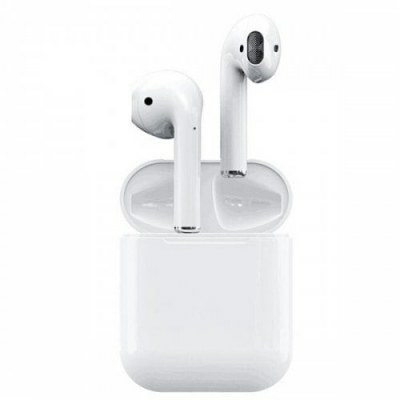 Named the best clone of AirPods 2019, as it follows the parameters of equipment such as i7, i9, i10 and i11, the i12, this being the starting point to improve and expand the features of this version. Although the design is similar, built based on a combination of ABS and metal plus a white tone for its body, incorporates new features such as automatic on / off that was missing in previous models, in addition to improving the stereo in the two earplugs, also we can not forget that it offers a battery of 55mAh.